Proper leather care starts with high quality leather cleaner and leather conditioner. First the leather cleaner removes impurities and soil from leather upholstery. 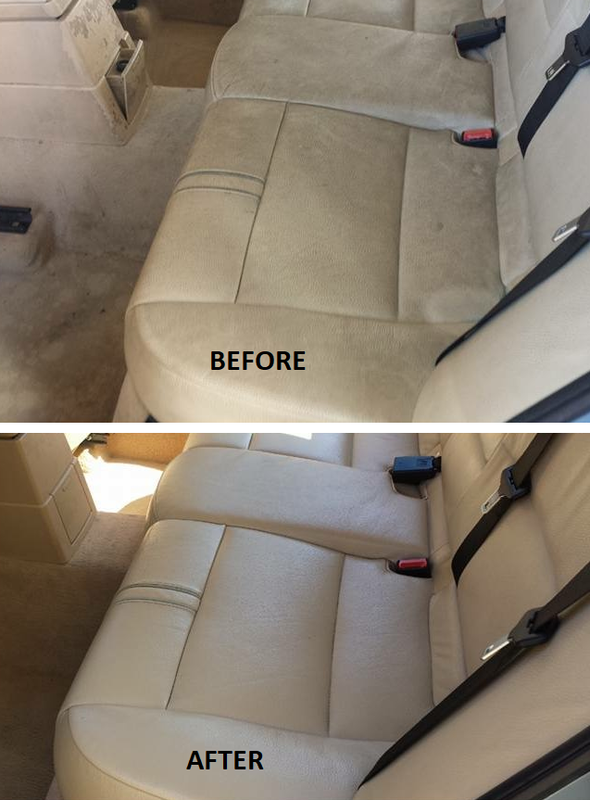 Then the leather conditioner replaces lost moisture and restores the softness to leather seats. Two steps is all it takes to keep leather upholstery feeling soft and supple.